Does your child prefer to use their fingers for mealtime? Is trying to get them to use cutlery a nightmare? I’m here to help! Learning how to use a knife and fork together can be tricky business, and some kids need a little extra help with this. 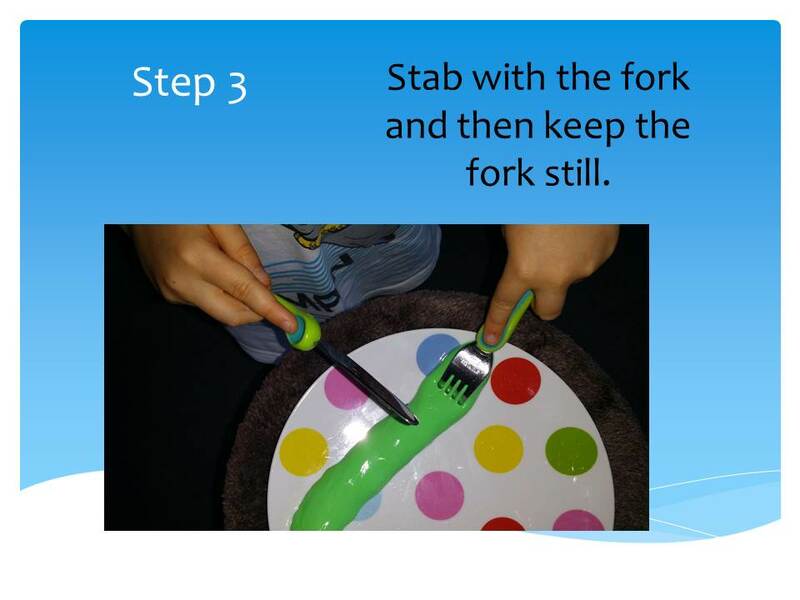 I have taught many children how to use cutlery with the following method. It takes a little practice and some gentle encouragement, but in most cases it works. Are you ready? Let’s go…. Lots of kids struggle with standard cutlery. They’re big and tricky for little hands to manipulate. 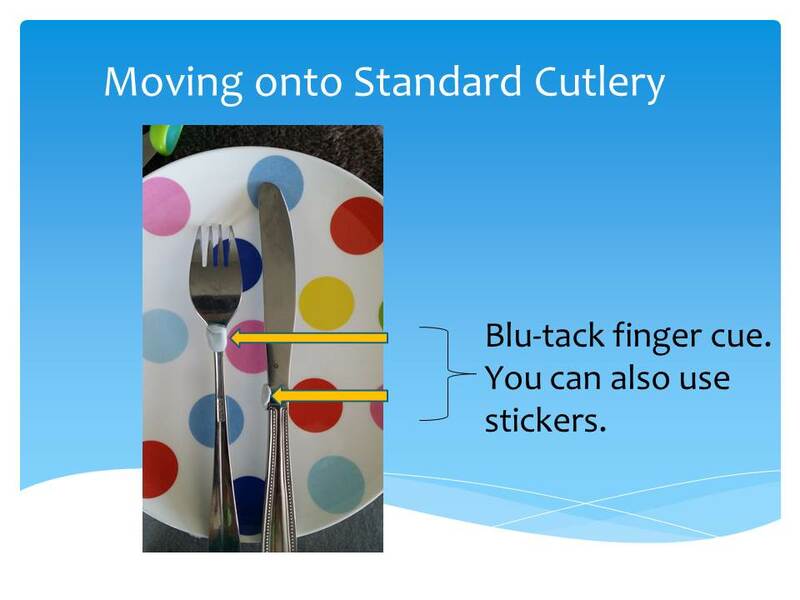 If your child struggles with standard cutlery, then it’s time to think about trying something different. 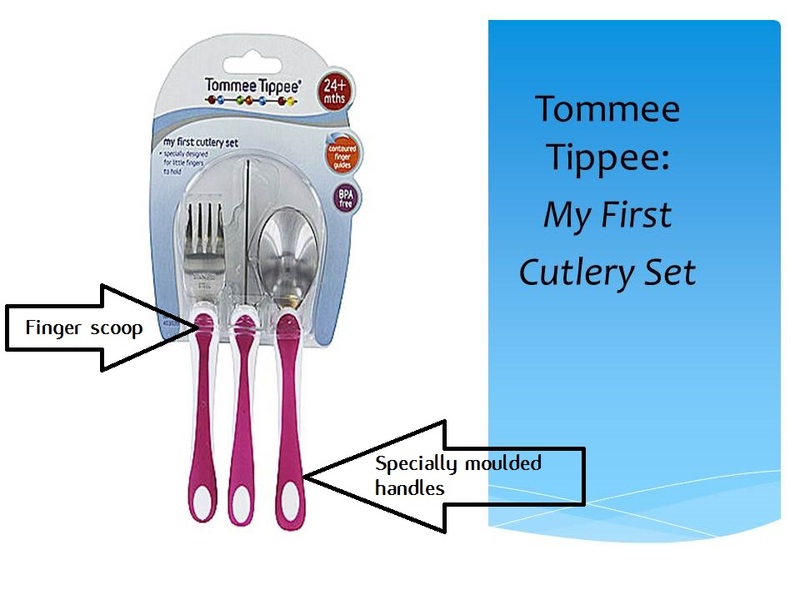 I absolutely love the Tommee Tippee My First Cutlery set (BTW – this is not a sponsored post). They have specially moulded handles that guide your child’s grasp. They sit perfectly in the palm of the hand, helping to activate all those little hand muscles that need to get to work. They also have special finger scoops that guide correct placement of the pointer finger. Tommee Tippee cutlery is good for children aged up to about 6 years (depending on your child’s hand size). 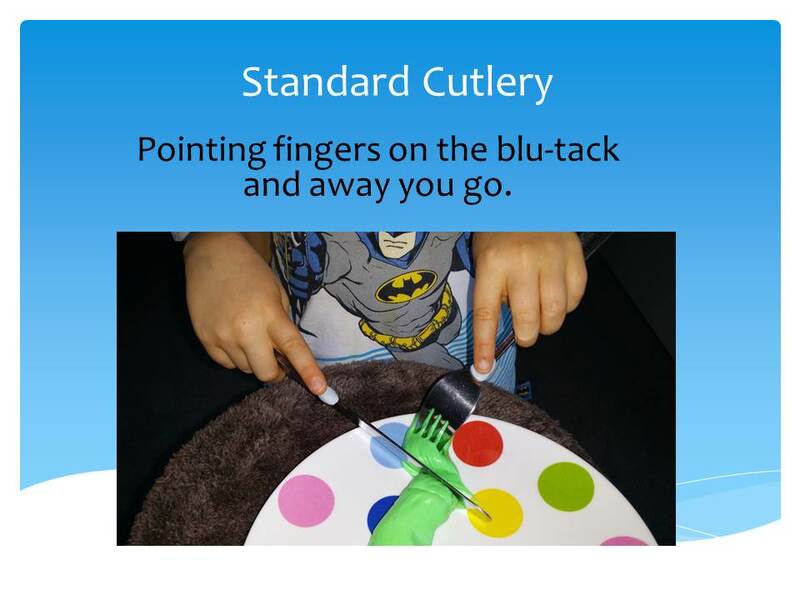 If your child is older or has bigger hands, then the Caring Cutlery range will be useful for you. 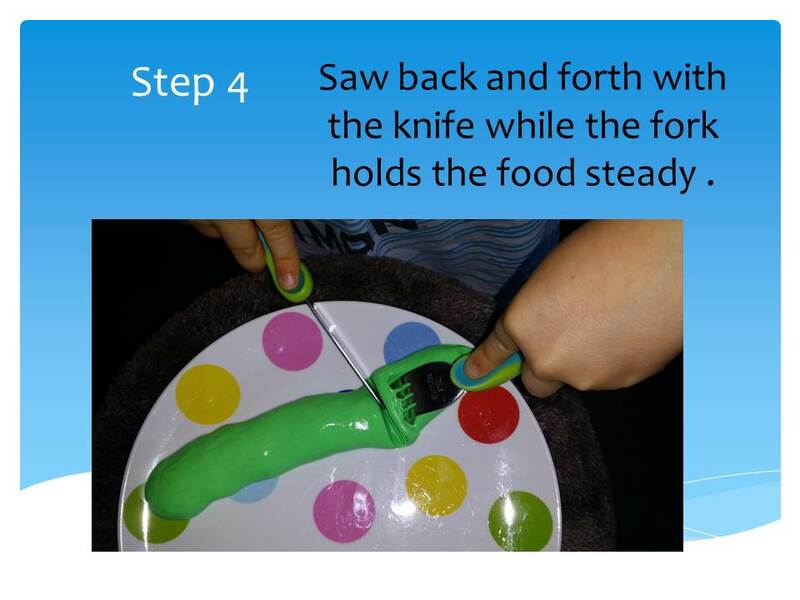 A fun way to practice cutlery skills is with Play-doh. Get your child to roll out some ‘sausages’ and then away they go. This can be a much less intimidating way to practice then with real food at dinner time. 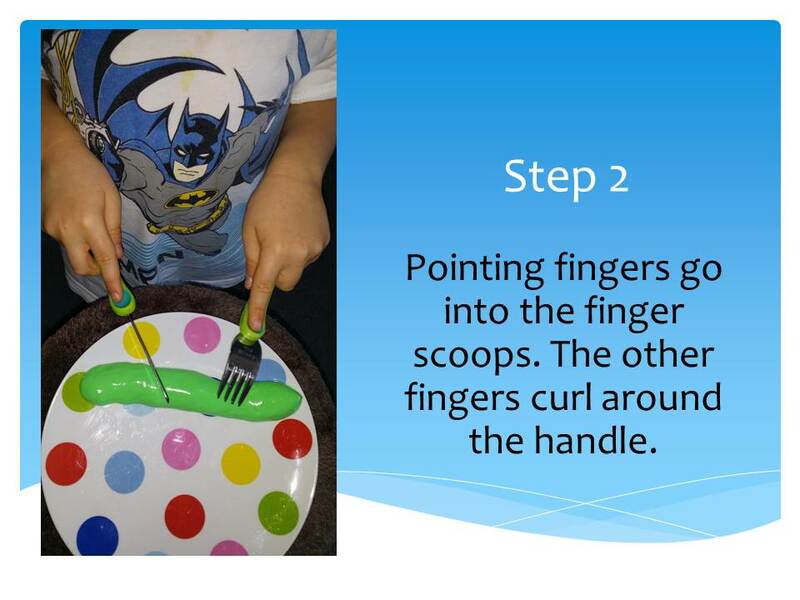 Once they get the gist with play-doh then you can introduce the cutlery at mealtimes. Once you feel your child has mastered the technique with the Tommee Tippee cutlery, you can then think about moving them on to standard cutlery. Using a finger cue (e.g. 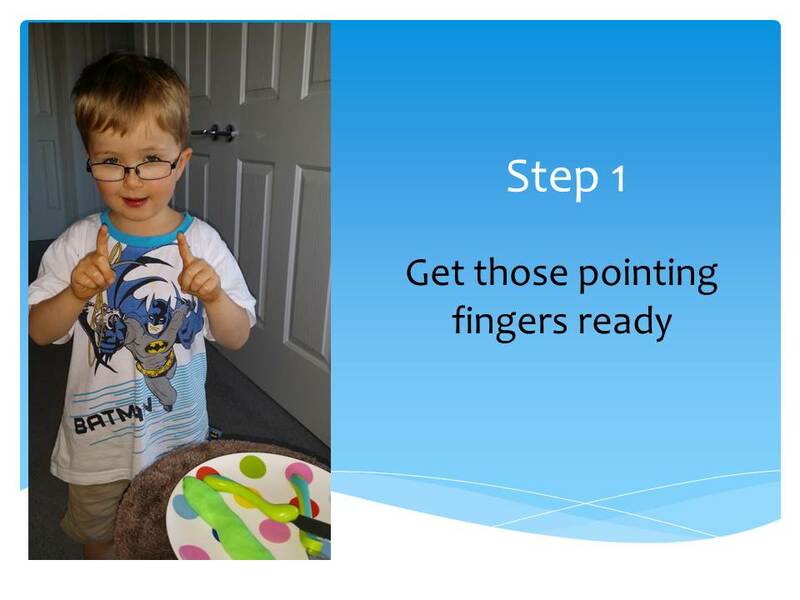 : blu-tack or a sticker) as shown in the picture below can help to guide correct placement of the pointing finger. Again, you might want to practice with Play-doh to begin.